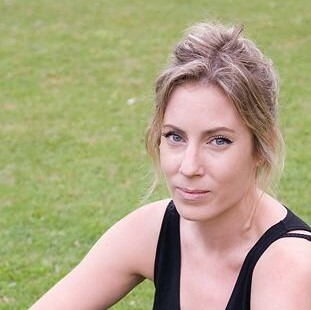 Fran Austin is the Sales & Marketing Director for Oxford TEFL and co-organiser of the annual InnovateELT conference which takes place each May at Oxford TEFL Barcelona. She has been working in the ELT industry since 2005 and is qualified in the Trinity CertTESOL, Trinity DipTESOL, Dip. Educational Management and Dip. Professional Marketing. 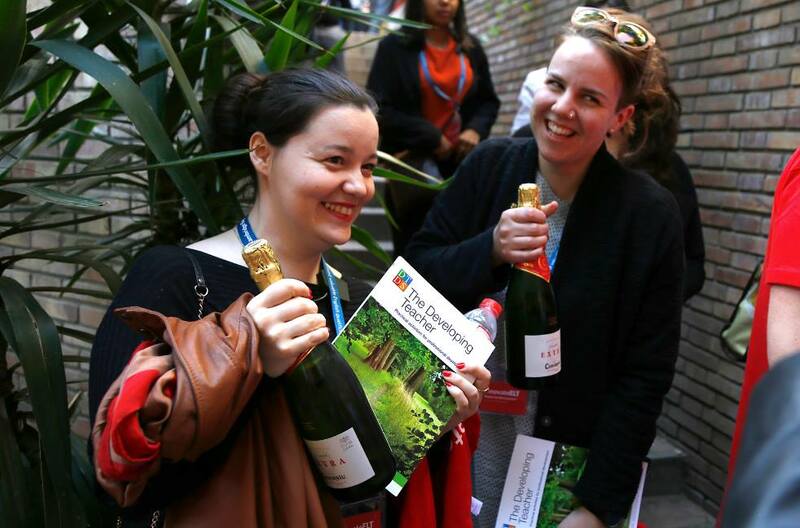 In this blog post, she descibes some of the top reasons for attending an ELT conference. As the 5th annual InnovateELT conference approaches (just one month to go! ), we are in the final stages of preparing for what appears to be one of our biggest events yet. This leads me to thinking more about why people choose to attend conferences, and what they expect to get out of them. As organisers, it is our responsibility to understand this and deliver on those expectations (no pressure then!). So why bother with the time and expense of attending a conference when there are so many other ways nowadays to learn something new? Here are my top ten reasons to attend an ELT conference. Attending an ELT conference is a fantastic opportunity to learn from teachers, trainers, managers, publishers, ed-tech professionals and even students. They can provide you with unique opportunities for transforming the way you work and career progression. Picking up a good idea and applying what you’ve learned to your own classroom or office can instill a great feeling of achievement. This can come in the form of an interesting bit of data presented in a session, a what-not-to-do story over a beer, a turn-it-on-its-head way of thinking in a plenery (I’m thinking Sarah Priestley at InnovateELT last year) or an activity demostrated in a demo lesson. Whatever it is, and however it is delivered, make sure you find a way to not only record your take-aways but can apply it to your own workplace. You may have seen industry experts in a video, cited in an article or on social media – now is your chance to meet them face to face. Any good conference will provide opportunities for this to happen organically as well as during the scheduled sessions. 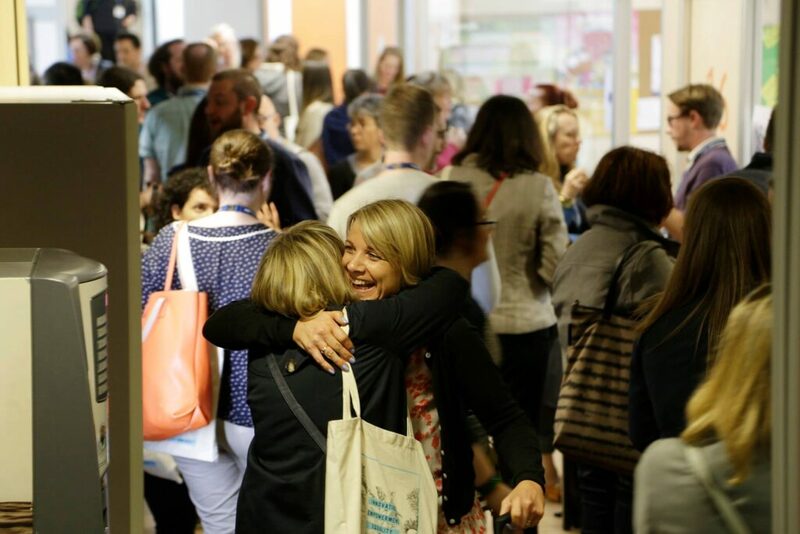 This can not only contribute towards building relationships with others in the ELT industry but it can also improve relationships with colleagues. You never know, that person you are sat next to could be the person you’ve been following on twitter all these years, your next employer or future study buddy. There’s nothing like being in a room full of like-minded people. Other people who are willing to take time away from the workplace to learn something new. When you sit in a classroom or auditorium, you discover that you’re not alone in wanting to improve your skills and bring something back to your workplace. Let’s celebrate the ELT community and keep it alive by attending these events. If you have ever attended a conference abroad, you would know that one of the benefits of this is….the food. That’s right. At the InnovateELT conference, we work with a local catering and a craft beer company to provide the fuel that you need to absorb all that useul information during the event. Although conferences are so rewarding, they can also be draining, which is why making sure attendees are well fed and watered is so important. Enjoy the local dishes and try something new! Professional ELT conferences tend to draw in top speakers (and up and coming speakers) and feature the most engaging topics relevant to ELT today. You can expect to learn so much about current industry trends and the latest innovations. This will invariably enhance your current knowledge base and keep you up to speed on what is new and what can shape our future. Ultimately, this drives our industry forward and helps build the future of ELT. You can be part of that too. Breaking out of your comfort zone is just the type of action you need in order to break out of old ways of thinking or try something new. Present a workshop, raise your hand, break the ice with a stranger, pitch your idea, organise the event (gulp). If you find this nerve-wracking, you’re not alone. I’m right there with you, and so are most of your fellow attendees. Just do it. Because you’re worth it. Leaving your workplace and “sharpening the saw” is investing in yourself, and you won’t regret it. It’s admitting that you still have things to learn. That you can get better. And don’t we all? When you purchase that conference ticket and when you walk up to the registration desk or into that room, you’re telling yourself and all those around you, that you’re investing in your own growth. Now that is invaluable. Visiting the sponsor stands and checking the flyers in your tote bag are a great way of finding out what special offers are available exclusively to conference attendees. If you are interested in developing your skills, purchasing some books or gaining free access to something, for example, this is your opportunity to save money. It is also common to be offered a chance to participate in a competition or free prize draw. Depending on the size of the conference, the odds are almost always good! Go on, take a chance. Believe it or not, conferences can be fun and exciting. Even thrilling. Renew and refresh your passion in the ELT industry by being around industry leaders, attending eye-opening talks, and join in the fun while you are at it. Then take it back home and hang on to it. Time spent in a classroom, behind a desk or in front of a computer can eventually make you feel disconnected from the ELT field as a whole. Remember that scene in Dead Poet’s Society when Robin Williams made his students stand on a desk to get a fresh perspective? Sometimes you have to take a break from your regular job to get a fresh perspective. Breaking out of the office, sitting in a new space, and being around new people can spark something in us and provide a new energy source on return to our workplace. Still having doubts? Find out what I’m talking about by attending our next event. The 5th annual InnovateELT conference takes place on May 17th and 18th at Oxford TEFL Barcelona. This year, the theme is Back to the Future. During this event, we invite our wonderful community of ELT professionals to stop the clock and take stock of where ELT is going. For your chance to participate in this amazing event, purchase your ticket via the Innovate ELT website here. This entry was posted in Uncategorized by Fran Austin. Bookmark the permalink.